If you’re anything like me, despite the fact that your life clearly resembles nothing out of Pinterest, you may find yourself with a most adorable project for your one year old that goes horribly wrong. 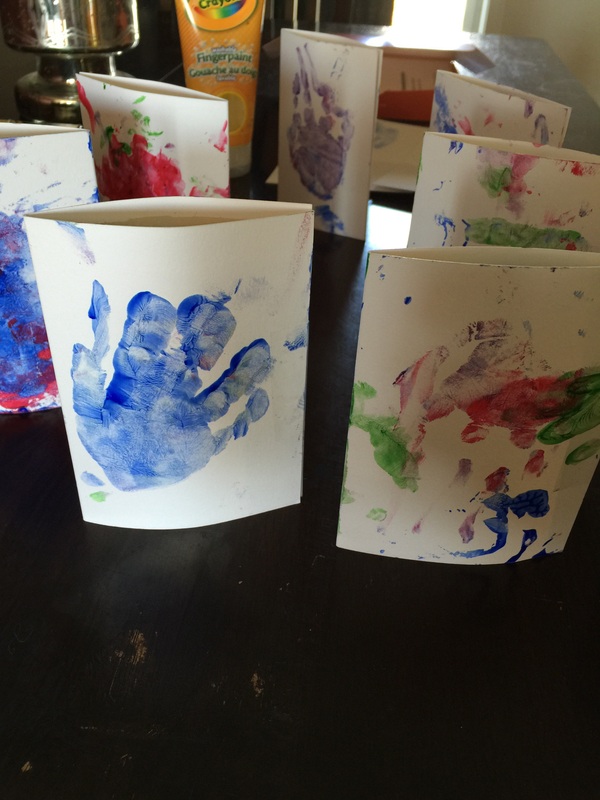 I had planned on this thank you card project when Eli was born, but his little hands refused to cooperate and unfurl. So I tried his feet…a smeared mess. Those nurses at the hospital have a magical gift for getting those perfect little footprints! However, I was desperate to capture the tiny preciousness of my sweet baby, so I pushed the project back. After Eli’s first Christmas, perfect timing! I got the picture, I was ready to go. Then the winter blues set in and I did nothing for a couple months. Eli’s first birthday! Another opportunity for thank you cards! 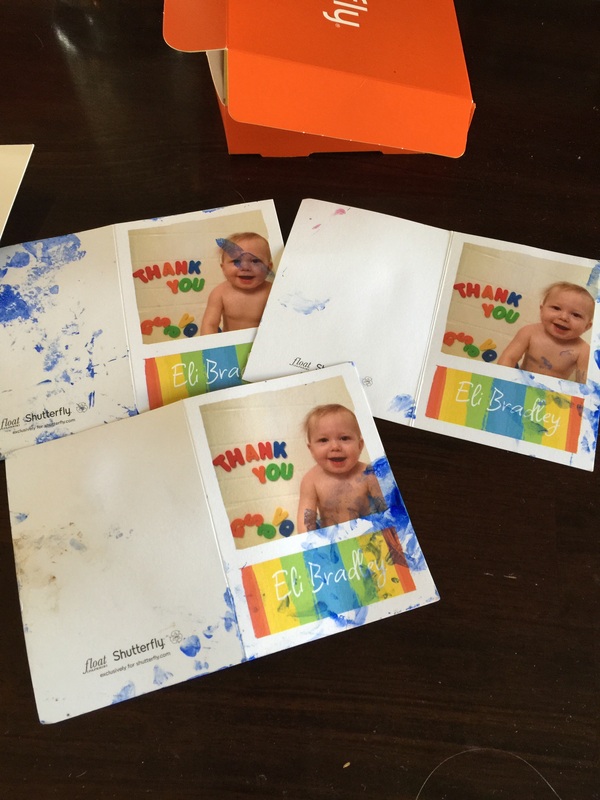 I ordered the cards (from shutterfly)- and two months after that finally involved Eli in the project. I got Eli all set up in his high chair and ignored the fact that he didn’t seem super pleased with the idea. 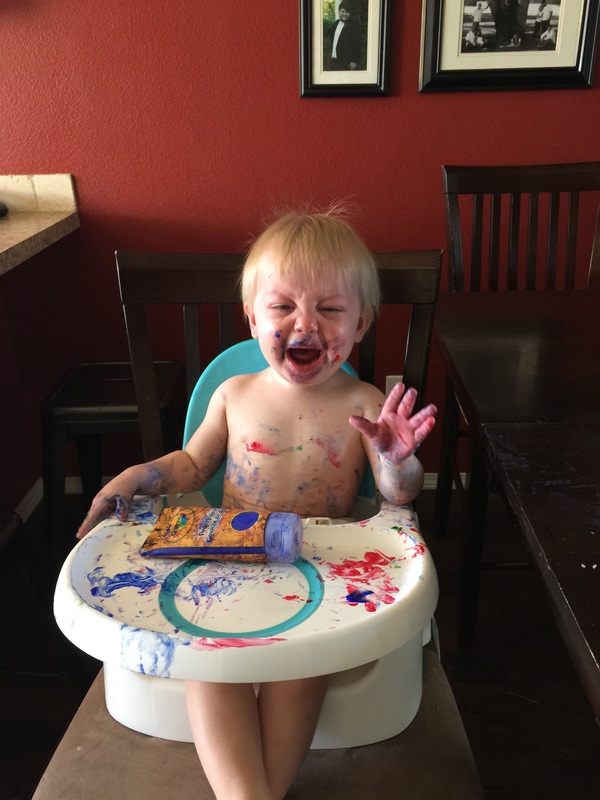 As soon as I placed the finger paint onto the high chair- hands went straight for the paint and to his mouth. My big mistake was not letting him ingest copious amounts of “nontoxic” paint. This act made him furious and therefore made the thank you cards an abysmal disaster that I throughly enjoyed! -tape your cards, keeps the outside of your card crisp and clean. -don’t use your high chair if the high chair is specifically used for eating. Try using the bathtub or going outside. Clearly I didn’t try this, but I’m assuming the eating was purely habit.